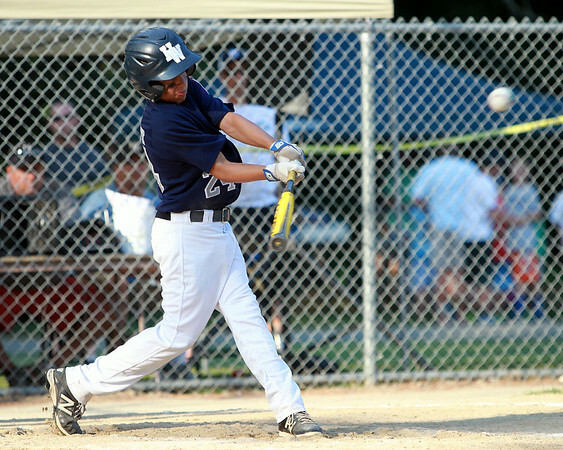 Hamilton-Wenham left fielder Ian Coffey launches a long single off the top of the outfield wall, but was throw out trying to stretch the single into a double against Danvers National on Monday evening. DAVID LE/Staff photo. 6/30/14.